Inspired by a recent post in which I declared the oxfords pictured below my “new favorite shoes”. 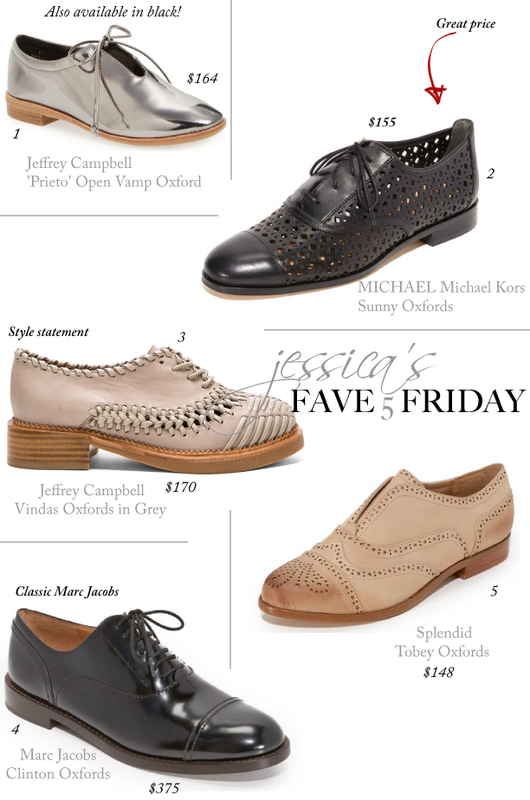 And while I love, love, love these shoes I decided to gather up a few other oxford picks for today’s “Fave 5 Friday” post that may be more right for you. 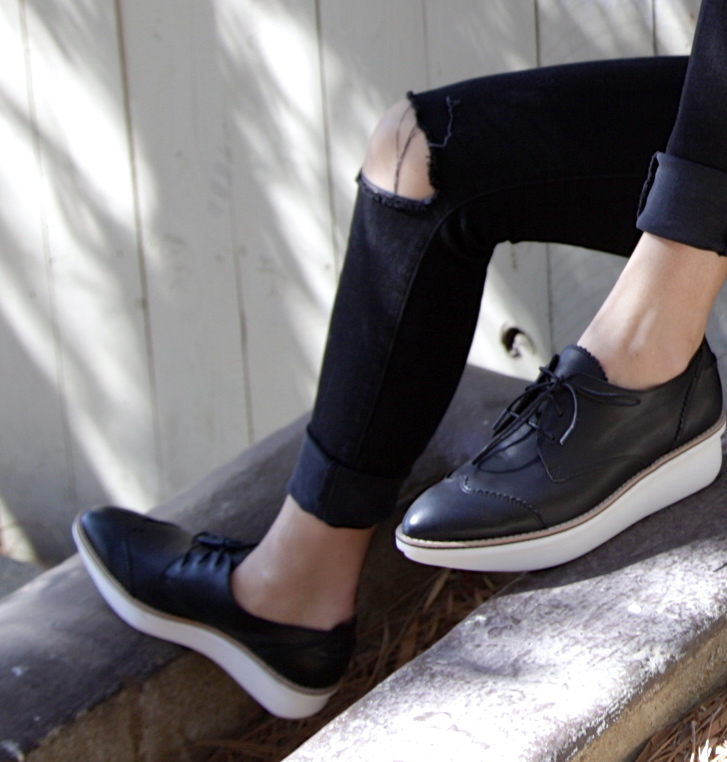 Haven’t decided if the oxford is for you? 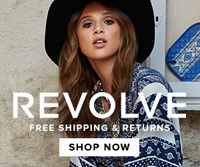 I say it is for everyone and here is why… Not only is the oxford a classic look that oozes sophistication it can also complement just about any outfit from a pair of boyfriend jeans and a tee to a baby doll dress. Not to mention is it “oh so comfortable!”. Hence making it just about the perfect shoe and one fabulous fall trend that we are definitely saying “Oui! !” to.